Maybe the GOAT playoff run for Westbrook to lead that roster to the championship over teams like GS. Hoped Philly would finish off the Cinderella run, but I blame Roy Hibbert for them falling short. Lamrock wrote: Maybe the GOAT playoff run for Westbrook to lead that roster to the championship over teams like GS. Hoped Philly would finish off the Cinderella run, but I blame Roy Hibbert for them falling short. I'm just happy that it wasn't another predictable Cavs-Warriors series tbh. Ahhh tough way to go out, but at least you did get one w! Valor wrote: Ahhh tough way to go out, but at least you did get one w! This team is still so young, so sweeping the Rockets and winning a game against the Warriors was actually way beyond my expectations. I'm not sure how busy I'll be over the off-season because it's not the best free agent pool and I've got two first round picks. Maybe I'll just stick with the natural progression of this group, rather than making a big change. 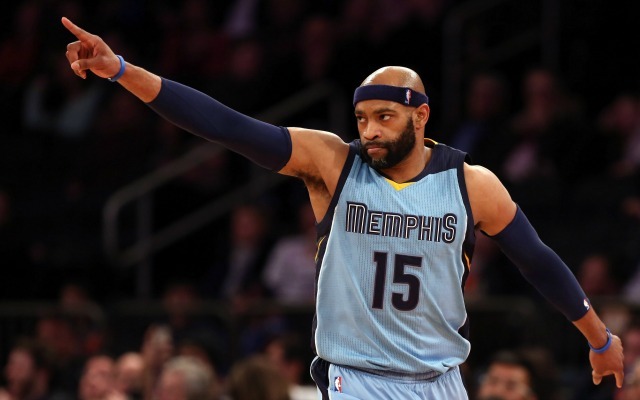 Vince Carter may not have achieved that elusive championship that every NBA player craves, but he certainly provided great entertainment for basketball fans during his twenty year career. The forty-one year old can definitely be content that he got everything out of himself physically. His aging body may have slowed him up in recent years, but earlier in his playing days he was one of the most exciting dunkers around. He was selected to the all-star game eight times, was voted as the rookie of the year in 1999 and won the 2000 slam dunk contest. Former sixth man of the year Jamal Crawford also called time on his journeyman career. Crawford won that particular honor three times and was regularly considered one of the best bench players in the league. 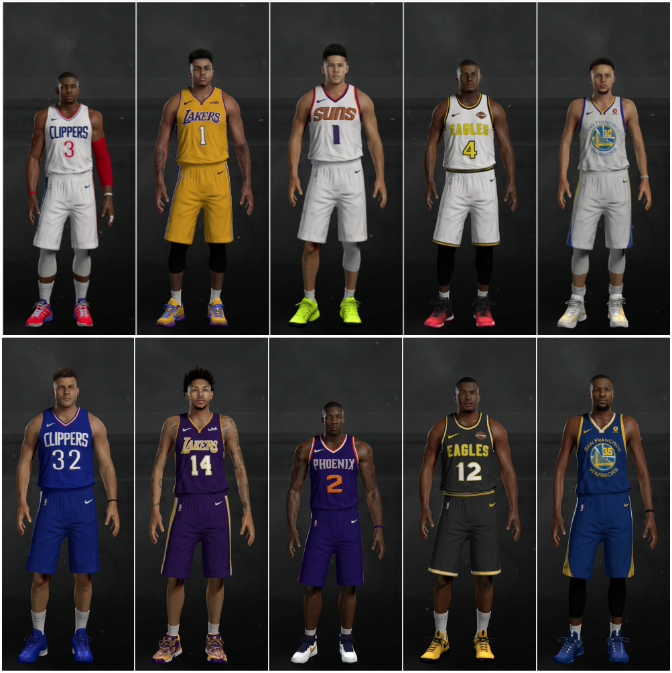 Championship players Caron Butler, Boris Diaw, Anderson Varejao, Nick Collison, Matt Bonner and Sasha Vujacic also retired. The latest masterstroke move by legendary Sacramento Kings general manager Vlade Divac has proven to be his failure to add any sort of protection to the first round pick that he sent to Denver as part of the trade to acquire Kenneth Faried. So, not only did the Kings finish bottom of the western conference last season, but they now have to live with the knowledge that they denied themselves the chance to have the top pick in a strong draft. It's all smiles from the Nuggets though. they now have picks 1 and 14 to add to their already stacked roster of young stars. 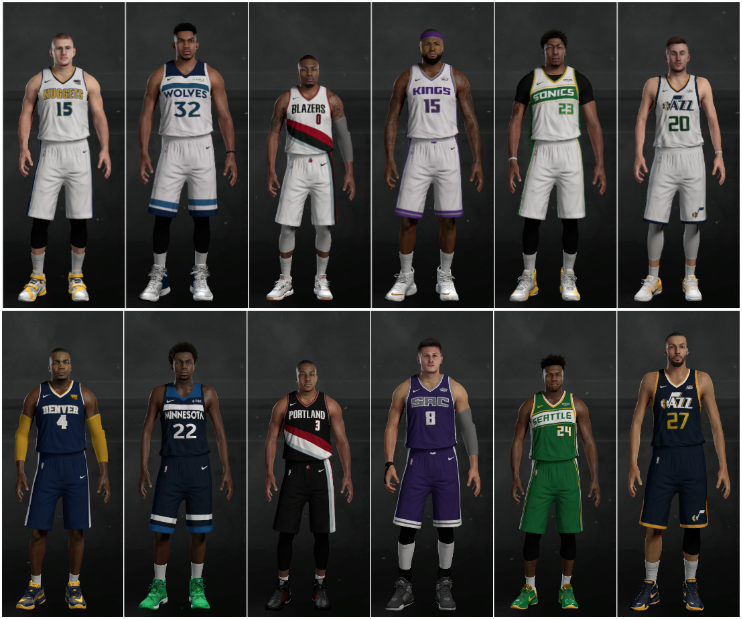 Nikola Jokic, Josh Jackson, Emmanuel Mudiay, Gary Harris, TJ Warren, Jamal Murray, Juan Hernangomez and Skal Labissiere. At some point they will have to convert all these lottery picks into playoff success or else their fans will start to lose interest. The Nuggets, Pacers and Knicks all have two lottery picks this year. It will be interesting to see if either of the latter two try to move up the order via a trade. In contrast, San Antonio will have their first lottery pick since landing the first overall pick in 1997 and taking Hall of Fame big man Tim Duncan. "I'd like to welcome everyone to the 2018 NBA draft, including the young men sitting in this room hoping to see their dreams come true today, but also to the millions watching this live around the world." He then heads backstage as the clock starts ticking down for the Denver Nuggets. But wait, he is coming back out almost immediately. "We have a trade to announce..", he declares, to audible gasps from around the packed arena. 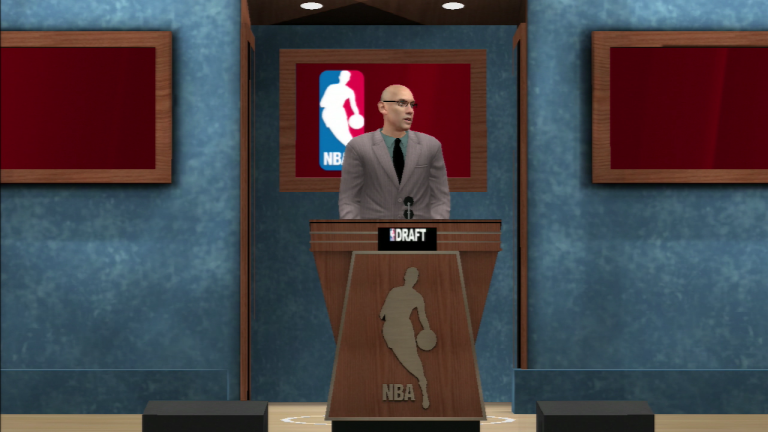 "The Denver Nuggets have traded pick 1 to the Louisville Lions in exchange for pick 4 and a 2019 first round pick". Wow! The Nuggets have passed up the opportunity to have their first ever number one pick. Clearly they felt getting another lottery pick next year was worth sliding back three spots this year. This is a bit of a gamble for Louisville, but they must have their eyes on a top prospect who they want to pair with Lonzo Ball. And with the number one pick the Lions select Slovenian swingman Luka Doncic, who has been playing with Real Madrid in Spain. Doncic is one of he most highly-rated prospects to ever come out of Europe, having been playing in the Spanish league since he was just 16. During that time he has won two league titles and in 2017 he was named both EuroLeague Rising Star and the Best Young Player in the Spanish league. He does many aspects of the game well, but perhaps his greatest strength is his versatility. He is extremely comfortable handling the ball, but doesn't need it in his hands to be damaging offensively. This allows him to play anywhere from point guard to small forward. His combination of skill, athleticism and basketball intelligence make it easy to see why he went number one. It's his competitiveness that will drive him to becoming a star in this league though. The growing fanbase in Louisville can look forward to the Doncic and Lonzo Ball pairing terrorizing defenses for the next 10-15 years. Fan Opinion: "I really love this kid. We are gonna be amazing in a couple of years with Lonzo and Luka!" 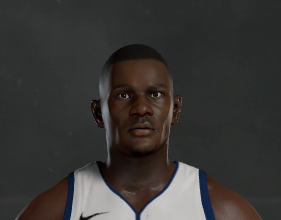 With the second pick on the 2018 draft the Dallas Mavericks select big man DeAndre Ayton from Arizona. It's been a horrible few years for the Mavericks, but this pickup should help out a lot. The seven-footer was a standout performer with the Wildcats this year averaging 19 points, 13 rebounds and over 3 blocks per game. His main strengths are his sheer size and impressive athleticism. He runs the floor well and has great coordination. He can score inside and outside, with veteran-like footwork and a solid shooting form. He could well be in the same class as Joel Embiid, Kristaps Porzingis and Nikola Jokic in terms of elite young big men. Knowing that Dirk Nowitzki is on his last legs, Dallas have been assembling a new-look frontcourt in preparation for life after he is gone. 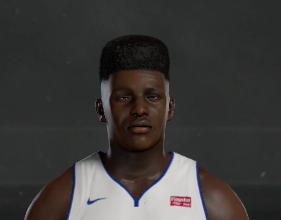 Nerlens Noel and Willie Cauley-Stein are both solid players, but Ayton will be a whole other level beyond them. Fan Opinion: "A perfect replacement for Dirk. Can't wait to see De'Aaron [Fox] lobbing him some oops!" 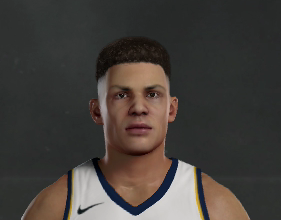 The Pacers take Missouri forward Michael Porter Jr with the third overall pick. He is another nice piece to add to their rebuild puzzle. Porter possesses a combination of elite size, shooting ability and athleticism. In many ways it is surprising to see him fall to pick 3. Given his size and scoring prowess it is no surprise that he has been compared to Kevin Durant. He averaged 26 points, 10 rebounds, 4 assists, 3 steals and 3 blocks per game. Indiana have assembled a nice young core now with Porter, Myles Turner, Markelle Fultz, Jaylen Brown and Grayson Allen. Not to mention pick 8 still to come and a bunch of cap space to spend this off-season. Fan Opinion: "The rebuild is coming together nicely. Turner, Fultz, Brown and Porter and still pick 8 to come. Looking good." Next up is Denver, who traded down from the first overall pick. Let's see if it was worth it. They select explosive Duke point guard Trevon Duval with the fourth pick. What does this mean for the future of Emmanuel Mudiay? It's interesting that they went with a guard over someone like Robert Williams, Wendell Carter or Mohamed Bamba when they already have Mudiay, Jamal Murray and Gary Harris. Surely some frontcourt help for Nikola Jokic was a more pressing need. Duval isn't the tallest point guard in this draft, but he has great length and is quicker and more athletic than his competitors. He excels in transition and should add another dimension to Denver's offense. This is a crucial off-season for the Nuggets. They have added a lot of young talent in recent years but have no playoff experience to show for it. They really need to nail the free agency period. Fan Opinion: "I'm not sure why we made this trade. The top 3 guys look miles better than the rest of this draft." And here come the Knicks. With the fifth pick of the draft they select Texas A&M big man Robert Williams. 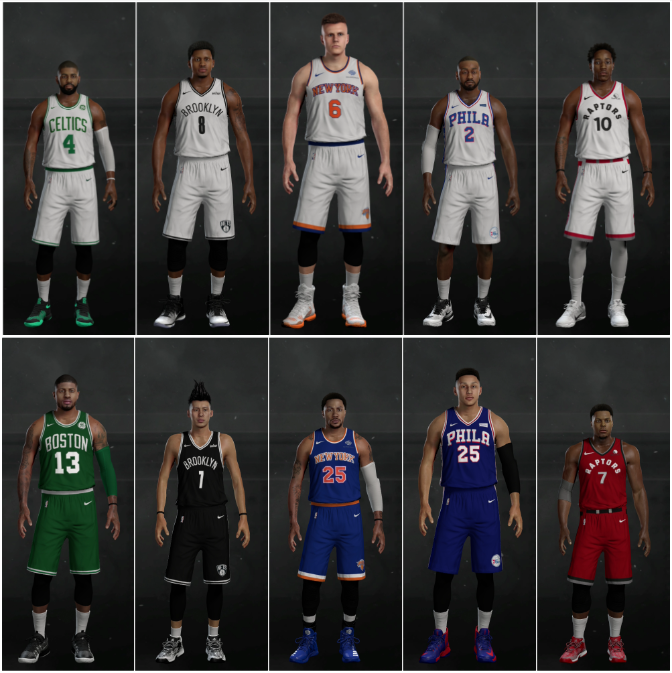 Does this mean that Kristaps Porzingis is moving to the center position? Who really knows what the Knicks' front office has planned these days. 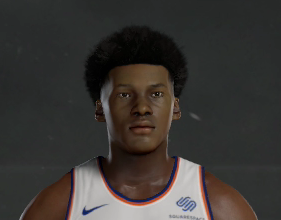 One positive for the fans though is that Williams is one of the most NBA ready players in this draft, so he will be able to contribute from day one. Something that is important for a struggling team. He may be a year or two older than the other top ten prospects, but he still has huge upside. He has a 7-foot-5 wingspan and also great athleticism, which allow him to be a potent defensive weapon. Whilst his offensive game is coming along nicely. He has improved his footwork recently and is totally capable of creating his own shots. Fan Opinion: "I don't mind Williams. But we should've taken Bamba and paired him with Porzingis. 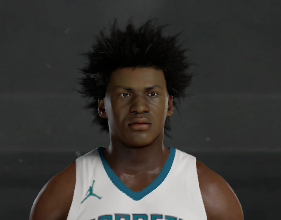 Imagine the length..."
With the sixth pick Charlotte select Collin Sexton, a point guard from Alabama. This is a really strange decision by the Hornets. Kemba Walker is in great form and they has much more pressing needs on their roster. Specifically some outside shooting or low-post presence. With the likes of Mohamed Bamba, Wendell Carter, Dzanan Musa and Kevin Knox still on the board it's hard to see why they went with a point guard. Even though Sexton has huge potential. One thing that goes in his favour is his ability to flat out score the ball. He is perhaps the best scoring guard in this draft and should be a good addition to Charlotte's second unit. It really is a toss up between Sexton and Duval as to who is faster and more athletic. Both look likely to be similar in style to John Wall. Fan Opinion: "Was this really the best move for us? We already have Kemba and desperately need shooters." 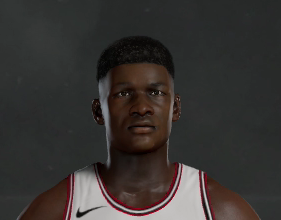 With the seventh pick of the draft the Chicago Bulls select Texas center Mohamed Bamba. This looks like it could be a great pick up for them. Bamba has the size and potential to make him rival DeAndre Ayton, which makes it a surprise that he fell this far. His 7-foot-9 wingspan and 9-foot-5 standing reach allow him to defend at an elite level. No doubt he will be a perennial defensive player of the year candidate in his prime years. The one major hole in his game is his offense. It's at a very basic level right now and he will have to work hard to get it up to a level where opposition players will have to respect him at both ends of the floor. Fan Opinion: "I love this pick. The front office finally did something right! Bamba will be the steal of this draft, just wait and see." Hold on. Adam Silver is walking back out to the podium. We may have another trade happening. 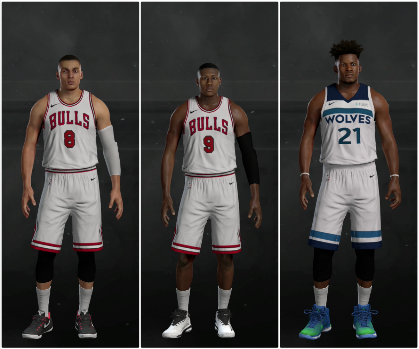 "The Chicago Bulls have traded Jimmy Butler to the Minnesota Timberwolves in exchange for Kris Dunn, Zach LaVine and pick 13". 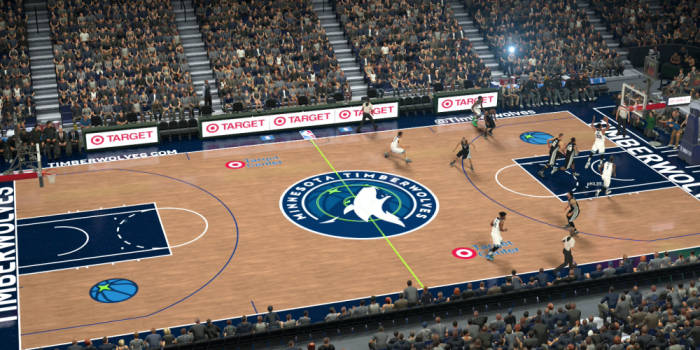 This is a massive move for the Timberwolves, who are clearly looking to shift into "win now" mode with this trade. Acquiring a two-way all-star like Jimmy Butler is a big win for them. Chicago seem to have opted for a period of rebuilding now. They land two handy young guards and a lottery pick in this deal. Back to the draft. With the eighth overall pick the Indiana Pacers select Duke forward Wendell Carter. So with two picks inside the top 8 they have added Michael Porter Jr and Wendell Carter to a young core of Myles Turner, Jaylen Brown, Markelle Fultz and Grayson Allen. That is a pretty solid spread of talent and they are all versatile players. Carter looks like an ideal frontcourt partner for Turner with his size, strength and rebounding ability. He is a powerful player, but has a soft touch around the basket. He won't really be called on to do much heavy lifting at the offensive end with with the likes of Fultz, Porter Jr and Brown doing the majority of the scoring. There was a rumour that the Pacers were going to aggressively pursue restricted free agent Noah Vonleh this off-season, but they may not have to now that they have Carter. Fan Opinion: "I think we pretty much nailed our two picks, given who was available. The future looks so exciting right now." 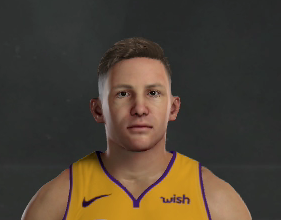 With the ninth pick the Los Angeles Lakers select Bosnian swingman Dzanan Musa. This year's international man of mystery. Musa has followed a similar path to first overall pick Luka Doncic, just at a slightly lower level. 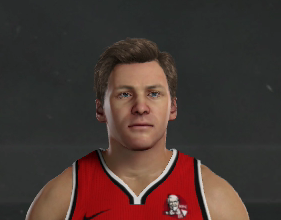 He has been playing professionally in the Croatian league since age 16 and has won two titles there with Cedevita. He may be the best pure shooter in this draft. He loves getting open on the perimeter, but can also create his own shot off the dribble. Fan Opinion: "I've never heard of this guy. Clearly he is going to be an all-star though." With the tenth pick the Detroit Pistons select Kentucky shooting guard Hamidou Diallo. Diallo is an explosive athlete with loads of natural ability, but his skills aren't quite at the top level yet. He has great potential though and can be a solid contributor for the Pistons bench whilst he develops. Detroit were unlucky that Wendell Carter was taken two picks previous as he would have filled the biggest need on their roster. Fan Opinion: "I don't mind this pick. Hopefully he can provide KCP with some competition and force him to improve his game." 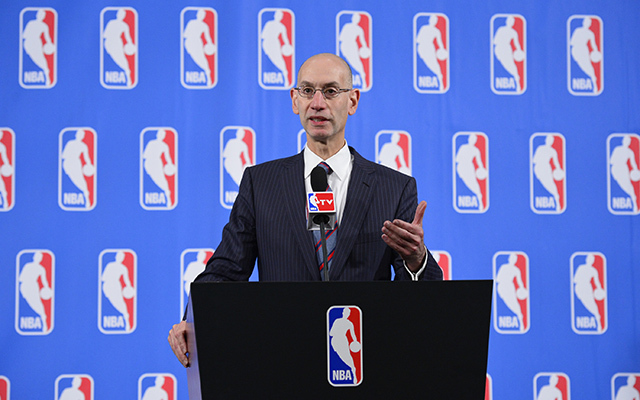 Adam Silver is walking back out to the podium with a interesting expression on his face. "We have another trade to announce..", he declares. "The New York Knicks have traded picks 12 and 43 to the Phoenix Suns in exchange for picks 17, 25 and 56". There are no players involved in this deal, just a swap of picks. It looks like the Knicks were happy to drop a few spots in order to secure another first round pick to help their rebuild. Phoenix must have their eye on someone projected to go a bit earlier than their pick would have allowed them to get. I should have told you to draft Brandon McCoy. 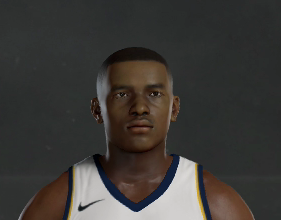 He might not have been as good in your draft class, but he was a beast for me in 2K17. Knox should be solid though. Might be time to try and package some of your young guys for a star, but we'll see what you have in store. Lamrock wrote: I should have told you to draft Brandon McCoy. 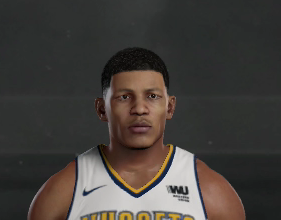 He might not have been as good in your draft class, but he was a beast for me in 2K17. Knox should be solid though. Might be time to try and package some of your young guys for a star, but we'll see what you have in store. I don't think he was on my radar. 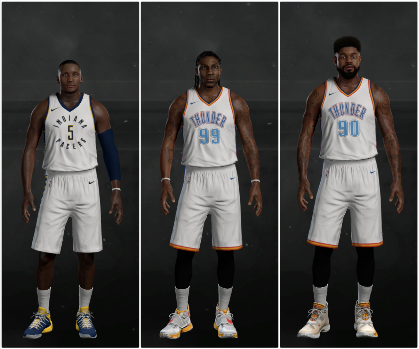 My scouts only rated the best centers in the draft as late first rounders and I already have a solid big man rotation. I figured the best bet was getting a long-term replacement for Iguodala. I'm not sure if I want to do a big trade just yet because I like the group that I've got at the moment and kind of want to see how well Knox fits in first. Bledsoe is expiring and I may look to trade him at the deadline. I should be able to get a pretty good return if I package him up with some young guys and expiring contracts. The Nuggets acquire an all-star calibre veteran to partner Nikola Jokic in their frontcourt. It seems that they have decided to try and transition from young up-and-coming team to genuine playoff contender this year. They had a decent amount of cap room to work with, so why not strengthen their weakest position with a proven veteran. They also added three experienced veterans to help fill out their bench. Their roster now has a nice balance between professional veterans and exciting youngsters. Atlanta have been stuck on the mediocrity treadmill in recent years and seem to be taking the opposite approach to the Nuggets. They are cashing in on their star veteran and collecting some decent assets. This trade ticks all the boxes for them; they get younger, free up some cap space and add a future first round pick. The Hawks continue their clear-out by sending Dwight Howard to the Hornets. They have landed Zeller and Sullinger to replace Howard and Millsap, whilst also adding bench depth in Lamb and Hernangomez. Their core group of players are now all in their mid-twenties. Charlotte are the latest team to roll the dice on Dwight Howard in the hopes that he can recapture the form of his Orlando days. He joins a veteran core of Kemba Walker, Nicolas Batum and Michael Kidd-Gilchrist at the Hornets. Owner Michael Jordan clearly wants to taste some playoff action this year. The Pacers continue their impressive off-season rebuild by securing former Indiana Hoosiers guard Victor Oladipo from Oklahoma City. With Jaylen Brown and recent number three draft pick Michael Porter Jr on their roster, Jae Crowder became surplus to requirements. They now have seven former lottery picks as part of the core of their team. Oklahoma City decide to dump Oladipo's monster contract for two more manageable ones. 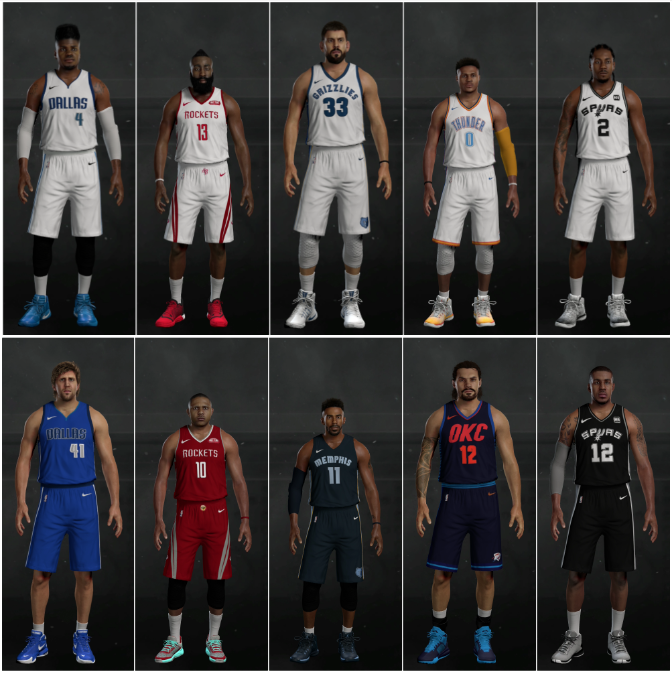 Crowder's arrival will likely see Andre Roberson move back to shooting guard and Amir Johnson will add some valuable experience to their bench. This deal helps give them more cap flexibility a year out from dual-MVP Russell Westbrook coming out of contract. After a surprise conference semi final exit at the hands of the Washington Wizards, Cavs all-star guard Kyrie Irving let it be known that he wanted a fresh start, to run his own team and get out of LeBron James' shadow. The Cavs were happy to oblige, given that he was entering the final year of his current contract. They shopped him around the league, but ended up shocking everyone by sending him to eastern rivals Boston in exchange for Isaiah Thomas. It was a solid move considering Thomas recently signed a four-year extension and it also netted them some handy bench depth. 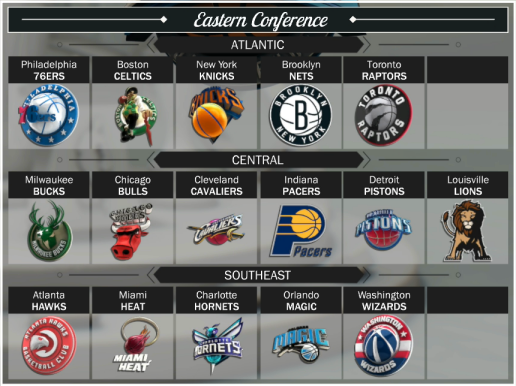 Boston also got eliminated from the playoffs by the Wizards, but weren't really looking to do anything major this off-season. But fate intervened and handed them a twenty-six year old all-star point guard to pair with Paul George and Al Horford. The only downside of this deal is it will likely mean that guard Avery Bradley will leave through free agency due to their inability to offer him a suitable contract. The biggest surprise of the off-season so far was easily the Bulls' decision to trade all-star Jimmy Butler on draft night. They seem happy to enter a rebuilding phase and add two solid prospects and a lottery pick. They can now rebuild around LaVine, Dunn, Bobby Portis, Denzel Valentine, Mohamed Bamba, Lauri Markkanen, Thomas Bryant and Jarred Vanderbilt. This new direction could see the end of their working relationship with veteran Dwyane Wade, who will be unlikely to want to spend his final years babysitting a potential lottery team. On the other side of things this is an excellent deal for Minnesota. They add a two-way all-star in the prime of his career, who knows their system and will compliment their star players. Their core of Butler, Karl-Anthony Towns, Andrew Wiggins and Harry Giles is about as exciting as anything else in the league. They also have veteran depth like Goran Dragic, Jeff Green, Taj Gibson and Nikola Pekovic. There's really no excuse for them not to make a strong playoff push this season. This is a simple salary dump for the Blazers. Crabbe is set to earn $18.5 million this year and also has a player option the year after for the same amount. Nicholson will save them roughly $12 million per season. This is a desperate attempt to get rid of salary in hopes of re-signing Noah Vonleh. 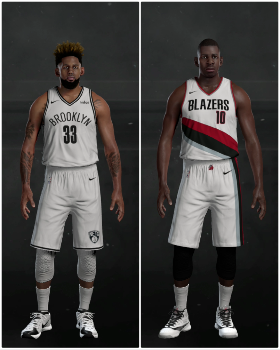 Brooklyn are just happy to add some more depth to their roster. They have a bunch of cap room to play with and don't own their own pick next year. Brook Lopez looks set to test the free agency market, so they needed to add more scoring power. As expected, Chicago's decision to focus on youth upset Dwyane Wade and he immediately requested a trade to a contender. Given that he has a no-trade clause in his contract, it was always going to be tough for the Bulls to get decent value back for him. Wade's top two preferences were the Cavaliers and the Clippers, but neither team had the appropriate assets to get a deal done. Then losing finalists Philadelphia stepped in and cobbled together a trade with the help of Phoenix. The Bulls received the expiring contracts of Terrence Ross, Tyson Chandler and Anthony Morrow, plus a future first round pick and two future seconds. Not the worst return for a thirty-six year old who could basically control where he went. Philadelphia surprised everyone by reaching the finals last year, only to be destroyed by Russell Westbrook, like so many others had before them. This deal gives them much-needed championship experience to guide their young stars. The veteran guard was an all-star last season, so he is still playing high quality basketball. 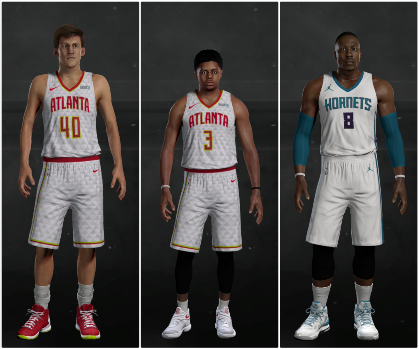 So now their star trio of John Wall, Ben Simmons and Joel Embiid is supported by Dwyane Wade, Dario Saric, Robert Covington, JJ Redick, Dwight Powell, TJ McConnell and Tyler Ulis. They could go one step better this season. 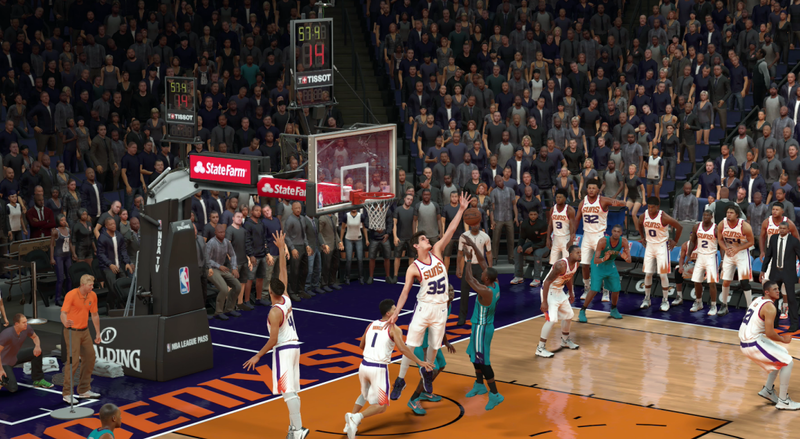 Phoenix looked really good at different stages of last season, but ultimately fell to the mighty Golden State Warriors in the playoffs once again. With this trade their starting line-up remains unchanged, but they reshuffle their bench quite a bit. 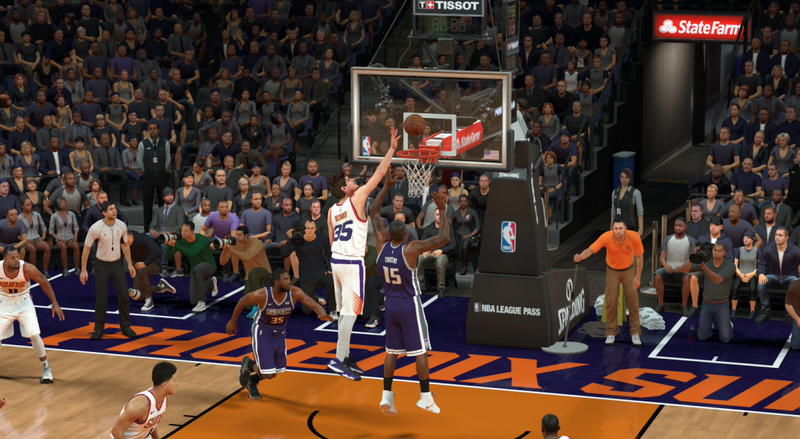 Robin Lopez replaces Chandler as Alex Len's backup, whilst Michael Carter-Williams gives them a more experienced option to support Eric Bledsoe. A nice aspect for the Suns is that all of the players they acquired are on one year deals. So they will have roughly $75 million to spend next off-season. 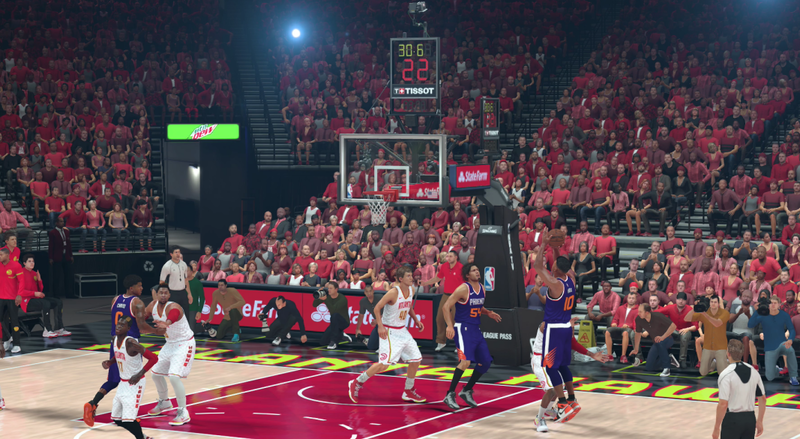 Star duo Devin Booker and Eric Bledsoe are coming out of contract though. 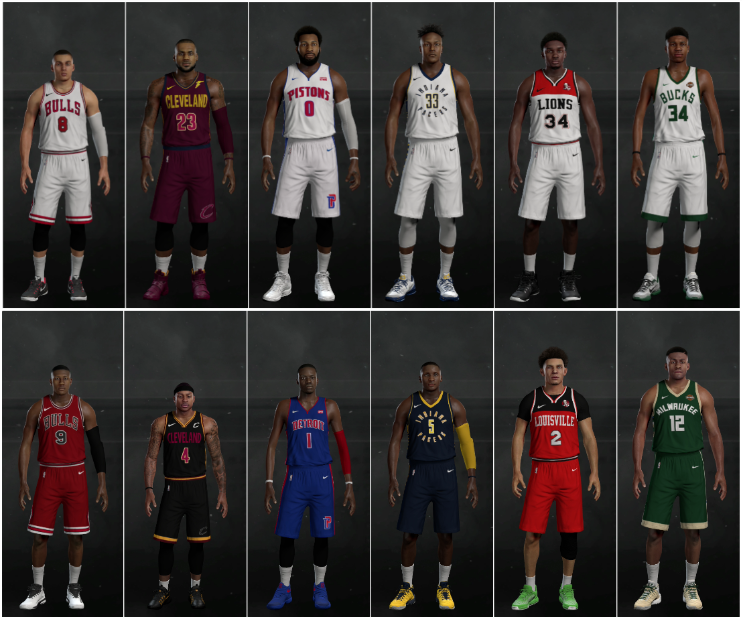 With a new season approaching, all 32 teams have today shown off their new Nike uniforms at their respective media days. 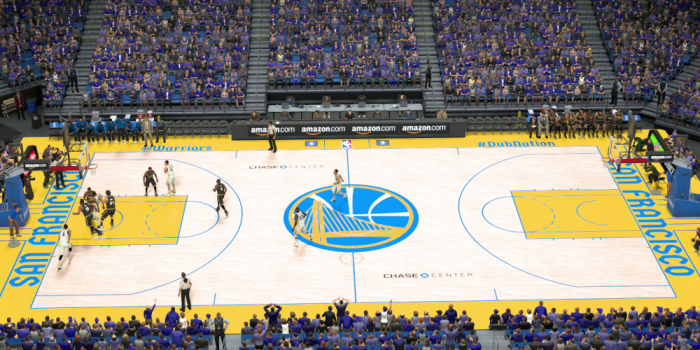 Following the opening of their new 18,000 seat arena in San Francisco, the Chase Center, the Golden State Warriors have taken the opportunity to officially rebrand themselves as the San Francisco Warriors. 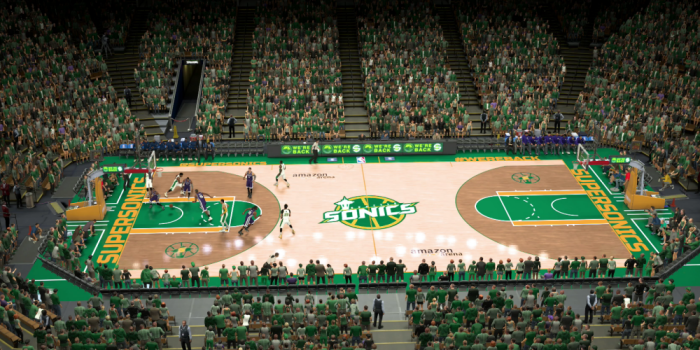 Elsewhere, the New Orleans Pelicans completed their move to Seattle to become the SuperSonics. 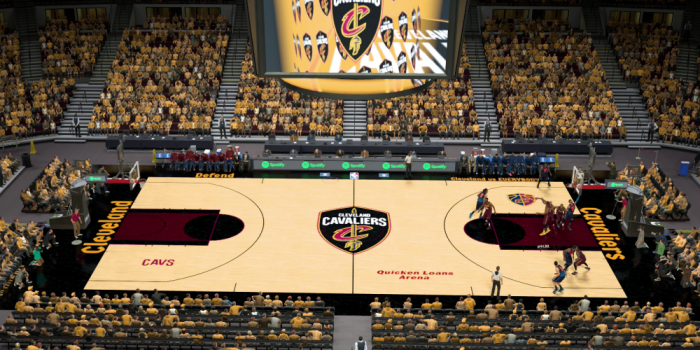 Cleveland and Minnesota also unveiled new court designs for the upcoming season. With the reintroduction of the SuperSonics into the NBA, it has been confirmed today that they will swap divisions with Oklahoma City in order to improve geographical convenience for both franchises. 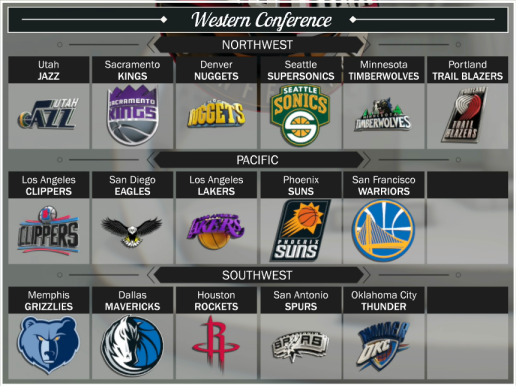 In a surprise move, the Sacramento Kings have joined the Northwest division. No official explanation has been given, but rumours on social media seem to suggest that the struggling Kings wanted to leave the ultra-competitive Pacific division in order to get an easier schedule. Conspiracy theorists are already suggesting that the switch happened because commissioner Adam Silver got drunk and accidentally filled in the official paperwork incorrectly, thus meaning the Kings will have to wait a year to jump back to the Pacific division. But that is just a crazy theory. Who knows, maybe they will actually benefit from being in a slightly easier division though. MCW getting 3 steals didn't know he could play defense! 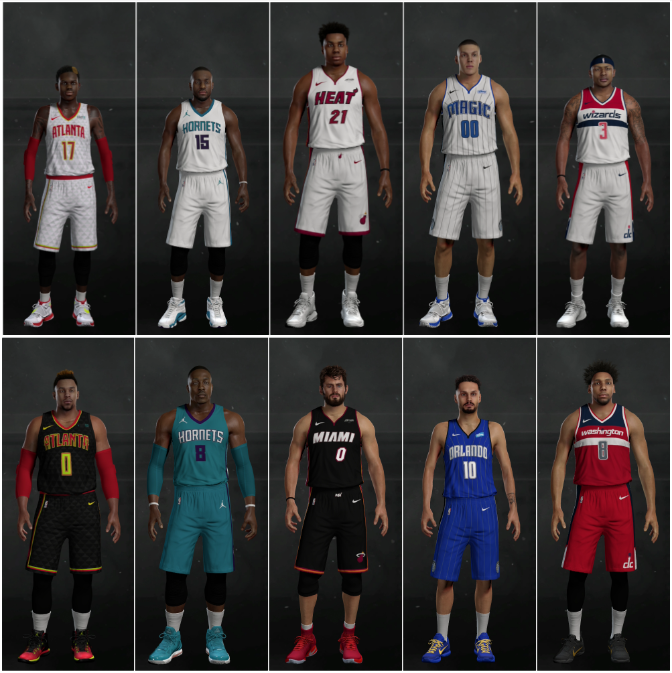 I had made new jerseys for like four teams in preparation for the new season, but then I saw that people had made the Nike jerseys so I just decided to download and use those instead. I did redesign the Louisville and San Diego uniforms though. We gave up a 14-0 run in the third, but steadied and held on. Bledsoe fouled out early in the fourth quarter. Shame your undefeated streak came to an end in a simmed game, but it's looking like this could be your year! 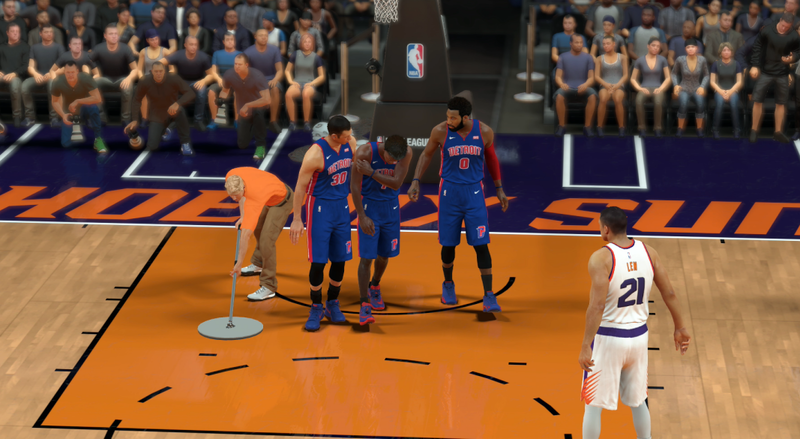 Stanley Johnson got injured in the first couple of minutes and missed the rest of the game. 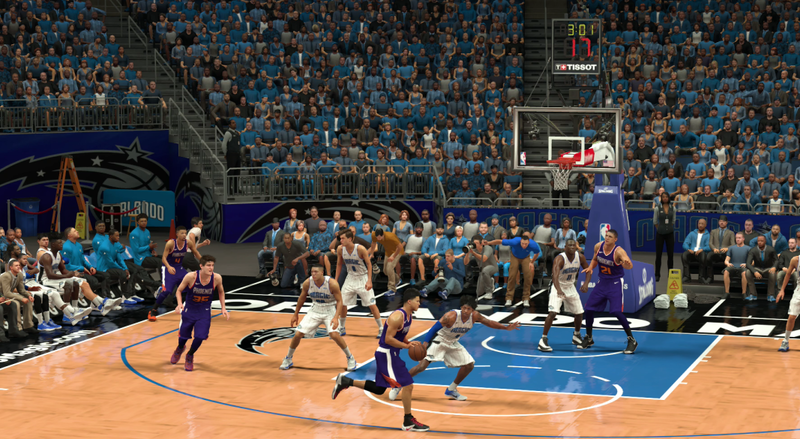 Andre Drummond fouled out with 4 minutes left, which helped me a lot.